Social data has the potential to bring you closer to your customers than ever before and drive decisions throughout your enterprise. By transforming that raw data into actionable insights for everyone—not just your social media team—your organization can achieve true social media intelligence. But how do you get there? 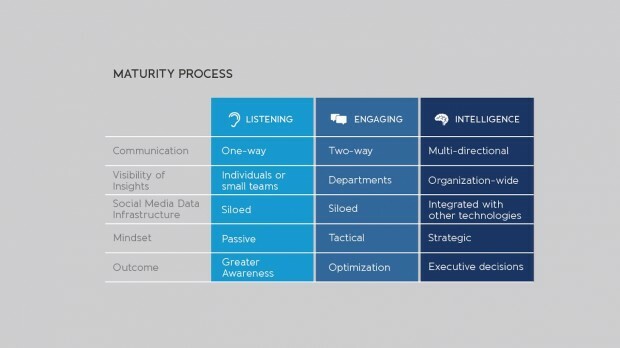 Download this guide today to find out where your organization stands on the three-step journey to social media intelligence. With this knowledge, you’ll be able to get the most out of your current stage of maturity and prioritize which steps you should take next.